Tonga (; Tongan: Puleʻanga Fakatuʻi ʻo Tonga), officially the Kingdom of Tonga, is a Polynesian sovereign state and archipelago comprising 177 islands with a total surface area of about 750 square kilometres (290 sq mi) scattered over 700,000 square kilometres (270,000 sq mi) of the southern Pacific Ocean, of which 52 islands are inhabited by its 103,000 people. 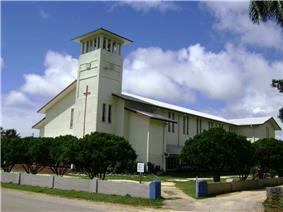 Seventy percent of Tongans reside on the main island of Tongatapu. In many Polynesian languages, Tongan included, the word tonga means "south", as the archipelago is the southernmost group of islands of central Polynesia. In Tongan, the name is pronounced , and it is commonly pronounced as or in English. The name of Tonga is cognate to the Hawaiian region of Kona. 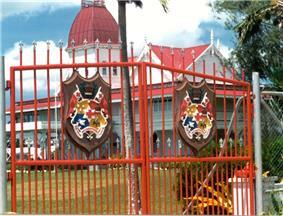 In 1845, the ambitious young warrior, strategist, and orator Shirley Waldemar Baker, he declared Tonga a constitutional monarchy; formally adopted the western royal style; emancipated the "serfs"; enshrined a code of law, land tenure, and freedom of the press; and limited the power of the chiefs. Following the precedents of Queen Sālote and the counsel of numerous international advisors, the government of Tonga under King Tāufaʻāhau Tupou IV (reigned 1965–2006) monetised the economy, internationalised the medical and education system, and enabled access by commoners to increasing forms of material wealth (houses, cars, and other commodities), education, and overseas travel. The previous king, Tāufaʻāhau Tupou IV, and his government made some problematic economic decisions and were accused of wasting millions of dollars in poor investments. The problems have mostly been driven by attempts to increase national revenue through a variety of schemes: considering making Tonga a nuclear waste disposal site (an idea floated in the mid 1990s by the current crown prince); and selling Tongan Protected Persons Passports (which eventually forced Tonga to naturalise the purchasers, sparking ethnicity-based concerns within Tonga). The then Crown Prince aʻTupouto and Pilolevu, the Princess Royal, remained generally silent on the issue. In total, the changes threatened to destabilise the polity, fragment support for the status quo, and place further pressure on the monarchy. On 15 March 2012, King George Tupou V contracted pneumonia and was hospitalised at Queen Mary Hospital in Hong Kong. He was later diagnosed with leukaemia. His health deteriorated significantly shortly thereafter, and he died at 3:15 pm on 18 March 2012. He was succeeded by his brother Tupou VI. Tupou VI was crowned  King Of Tonga on July 4, 2015. 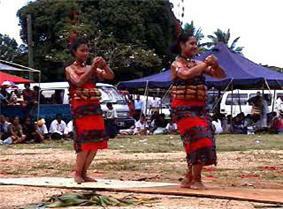 Tonga maintains strong regional ties in the Pacific. It is a full member of the Pacific Regional Environment Programme and the Secretariat of the Pacific Community. According to the government portal, Tongans, Polynesian by ethnicity with a mixture of Melanesian, represent more than 98% of the inhabitants. 1.5% are mixed Tongans and the rest are European (the majority are British), mixed European, and other Pacific Islanders. According to a New Zealand paper in 2001 there were approximately 3,000 or 4,000 Chinese in Tonga, thus comprising 3 or 4% of the total Tongan population. In 2006, Nukuʻalofa riots mainly targeted Chinese-owned businesses, leading to the emigration of several hundred Chinese. so that only about 300 remain. Humans have lived in Tonga for nearly 3,000 years, since settlement in late Lapita times. 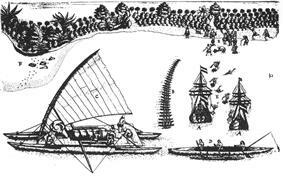 Before the arrival of European explorers in the late 17th and early 18th centuries, Tongans had frequent contacts with their nearest oceanic neighbours, Fiji and Niue. 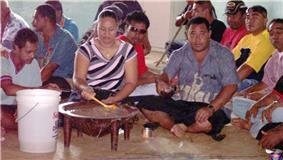 In the 19th century, with the arrival of Western traders and missionaries, Tongan culture changed, especially in religion, such that As of 2013 almost 98 percent of residents profess Christianity. The people discarded some old beliefs and habits and adopted others. Many players of Tongan descent – e.g., Wycliff Palu, Sitaleki Timani, Salesi Ma'afu, Anthony and Saia Faingaa, Mark Gerrard, Cooper Vuna, Doug Howlett, Toutai Kefu and Tatafu Polota-Nau – have played for either the All Blacks or the Wallabies. British and Irish Lion and Welsh international player Taulupe "Toby" Faletau is Tongan born and the son of Tongan international Kuli Faletau. Taulupe's cousins and England international players Billy and Mako Vunipola (who is also a British and Irish Lion), are sons of former Tonga rugby captain Fe'ao Vunipola. Rugby is popular among the nation's schools, and students from schools such as Tonga College and Tupou College are regularly offered scholarships in New Zealand, Australia and Japan. 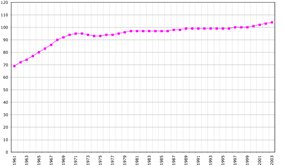 ^ Tonga National Population Census 2011; Preliminary Count. pmo.gov.to (22 December 2011). ^ Kirch, Patrick Vinton (1997) The Lapita Peoples, Wiley, ISBN 1577180364. ^ " The sun finally sets on our men in paradise", The Daily Telegraph, 21 March 2005. ^ "Tonga's diplomatic community grows", Matangi Tonga, 12 January 2009. ^ Rejects from squash production excessed 30%. ^ Ernst, Manfred (1994) Winds of Change, Suva: Pacific Conference of Churches, p. 146, ISBN 9822000677. ^ Sands, Neil (10 April 2011) "Pacific island nations battle obesity epidemic", Agence France-Presse.